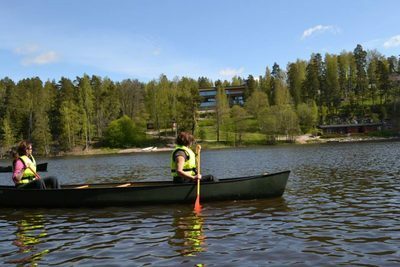 Lake Pitkäjärvi offers the perfect setting for getting to know the nature and water areas around Haltia Nature Centre.The talus deposits and fractures from ice age have left deep scars in Lake Pitkäjärvi and the fjord-like scenery takes the adventurer back in time. 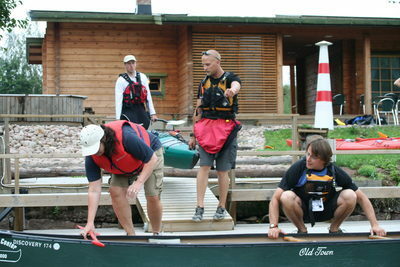 The tour starts with an introduction to paddling techniques and how to use the equipment. 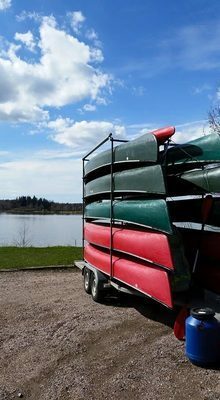 All our canoeing tours are also suitable for beginners. 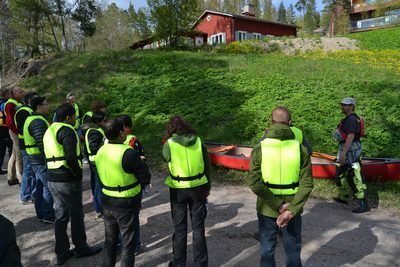 The group meets at the main entrance of the Nature Centre and after the welcoming ceremonies we move to the starting place of the trip. 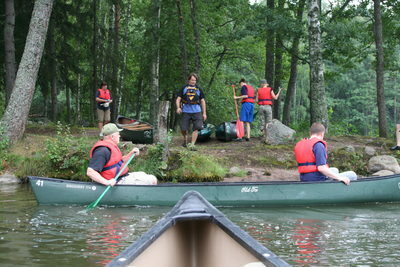 The length of the canoeing trip is about 3-4 km. 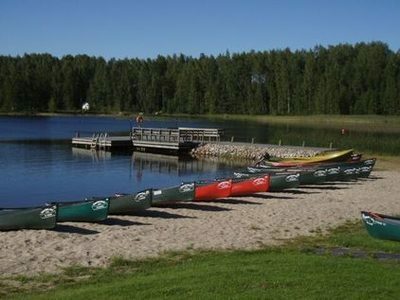 Two to five of Honkalintu’s experienced canoeing guides are in charge of the canoeing trips. You will need clothing according to weather, and for example sneakers are good shoes to wear. It is also advisable to take spare clothes with you. These will be packed in watertight barrels. Insurance Honkalintu Oy has a full organizer’s liability insurance coverage. 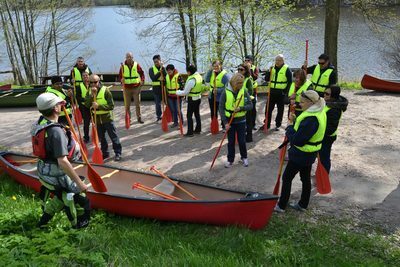 Participants are primarily covered by the employer’s statutory travel- and accident insurance when on a corporate function or on an educational trip. We kindly ask you to cover the insurance validity for a function in question. The tasks don’t include any dangerous activities. No particular level of fitness is needed to enjoy this trip. Just bring your sense of adventure and a willingness to try new things!